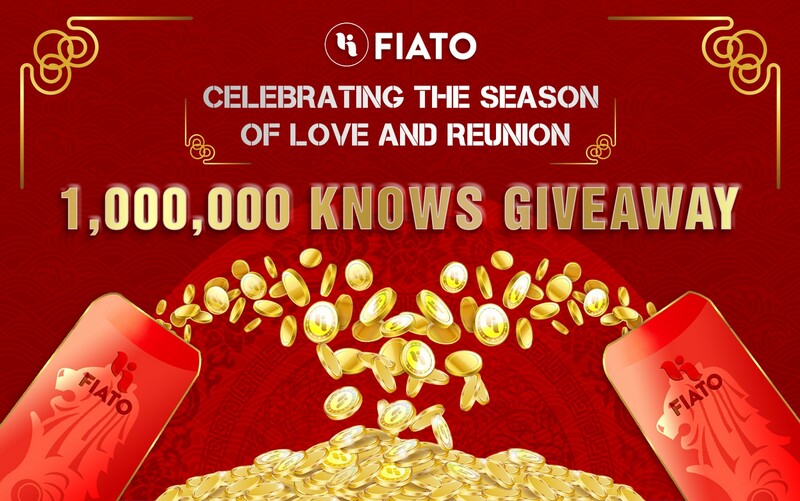 Usher in the new year with Red Packets to the total of 1,000,000 KNOWs from FIATO! Don’t miss this chance to be Red-dy for your festive reunion with family and friends. 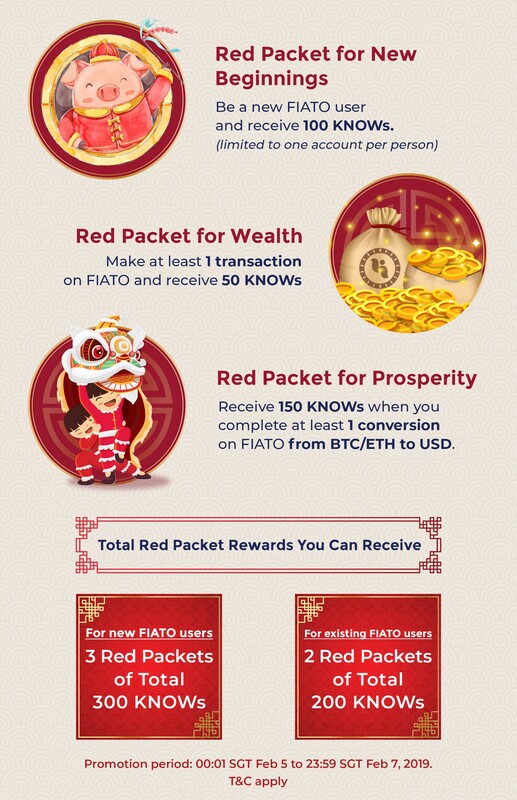 Simply download FIATO on your mobile now and receive FIATO Red Packet Rewards! FIATO is a mobile app for multi-currency assets that enables you to do more with your crypto. Store your crypto and spend it in fiat, or make peer-to-peer transactions anytime, anywhere. Have complete control of your crypto fund flow at your fingertips. No hidden fees, no endless sign-ins. Find out more about FIATO! Wishing you good cheer and best fortune in the Year of the Pig!